Calderdale in Recovery is a Calderdale specific site for drug and alcohol issues, listing many services around the region that may be of use throughout your recovery journey. Kirklees in Recovery is a Calderdale specific site for drug and alcohol issues, listing many services around the region that may be of use throughout your recovery journey. Calderdale in Recovery Facebook Group is all about engaging with people in Recovery, those entering Recovery, their friends, families and loved ones, and those working in the field in and around the Calderdale area as well as networking with the wider recovery community at large. We encourage you to post recovery stories, recovery pictures, events and news – anything that you think may help others or post if you need help yourself. The Group is a ‘Closed’ group. You can also follow their public Facebook Page. Kirklees in Recovery Facebook Group is all about engaging with people in Recovery, those entering Recovery, their friends, families and loved ones, and those working in the field in and around the Kirklees area as well as networking with the wider recovery community at large. We encourage you to post recovery stories, recovery pictures, events and news – anything that you think may help others or post if you need help yourself. This ‘Group’ is a ‘CLOSED’ Facebook Group which means all posts and replies are kept safe within the group, they are not published to your main Facebook Timeline. You can also follow and LIKE their public Facebook Page. No membership attendance records are kept. Anonymity is one of NA’s most important traditions. 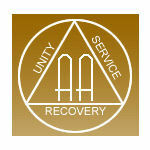 Al-Anon Family Groups provide support to anyone whose life is, or has been, affected by someone else’s drinking. We believe alcoholism affects the whole family, not just the drinker. We are an international organisation with over 800 support groups in the UK and Republic of Ireland. Al-Anon is a fellowship of relatives and friends of alcoholics who share their experience in order to solve their common problems. Our mission is “To improve the lives of people in Calderdale by raising and distributing funds, using our knowledge of local communities and working with others to target actions that will make the most positive difference”. The Community Foundation for Calderdale is, in effect, a local charity for local charities. We work with our partners (individuals, families, businesses and other organisations) to create charitable funds which we then manage to support the community causes we all care about. With the help and generosity of hundreds of local partners we have created a permanent endowment of more than £8m. The income generated by that endowment helps the people of Calderdale today and will continue to do so tomorrow and for generations to come. As an organisation we have nearly 50 years experience of women’s issues and women’s lives. We have one stop shop offices based centrally in Halifax Calderdale and Huddersfield Kirklees and we also provide outreach support services to women and children throughout Calderdale and Kirklees. We offer a wide range of services and support to women and children, including learning and skills, emotional and practical support on issues such as debt, benefits, mental or physical health, domestic violence, counselling and much more. Drinkaware promotes responsible drinking and works to reduce alcohol misuse and harm in the UK. An independent charity, we are supported by voluntary donations from the drinks industry and from major UK supermarkets. We provide people with evidence-based information about alcohol and work with the medical community, third sector organisations, government and the drinks industry to achieve our goals. For free confidential drugs information and advice 24-hours-a-day talk to FRANK. Frank has an extensive A-Z of drugs, each with information about the effects, chances of getting hooked, the law, appearance and use, cost, purity, the risks and chemical reactions. FRANK is not a person but a way for you to get open and honest information and advice about drugs. Use FRANK by Bot, helpline, website, e-mail or by ordering some literature. Since the founding of Halifax Street Angels in 2005 we have gone from strength to strength. Our work of supporting people within the Halifax Town Centre night time economy is who we are and what our volunteers do best, but in order to fund and support this we now have the Angels Rest Café and Christian Bookshop (which can be found on Crossley Street) and we offer high quality but low cost first aid training to businesses, charities and churches locally and nationally through Street Angels First Aid. SMART Recovery® helps people recover from all types of addictive behaviors, including: alcoholism, drug abuse, substance abuse, drug addiction, alcohol abuse, gambling addiction, cocaine addiction, and addiction to other substances and activities. The Basement Recovery Project now runs SMART Recovery® in Halifax and Kirklees. 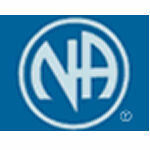 As of 1 April 2013 The National Treatment Agency for Substance Misuse (NTA) became part of Public Health England. At the time of updating our site, this link to the NTA site was still being maintained. The NTA was created as a Special Health Authority in 2001 to improve the availability, capacity and effectiveness of drug treatment in England. The NTA’s role was to ensure treatment services in England delivered on both the public health and criminal justice agendas, reflecting the interests of the Department of Health (DH), responsible for funding the NHS as well as public health services, and the Home Office, the lead Whitehall department on drugs policy and crime reduction. When it published the NHS white paper (July 2010), the Government announced that as part of these changes the NTA would be abolished as a separate organisation and its critical functions transferred to a new national service, Public Health England (PHE).